I have never been much of a gadget person and cell phone is one thing I detest changing from time to time. Call me old school, but that's how it has always been. I look for good interface and a few basics in my phone and once I get those I am all good. However simple that my sound, a smart interface and a good camera in a phone is the hardest to find. So when I had to hunt for my next phone I looked at many candidates but the technical gibberish kept putting me off until I set my eyes on ASUS Zenfone 2 Laser! It was love at first sight. First of all, its a gorgeous looking phone and a great touch screen to boot! I fell in love with this metallic red beauty in an instant. Not to mention, the camera quality is to-die-for. I am not a technical person; hate changing phones as it always ends up in losing some data here and there. But the beauty of the phone pushed me to go for the Zenfone 2 Laser anyway, and I was so glad to see they already have a built in App to transfer date from other phones. The App just made it a breeze to transfer all my stuff from my old phone! Yey! I've been using this phone for about a month and the reason I am writing about Zenfone 2 Laser is that it really is a great phone and has surprised me in so many ways. Being a blogger one of the most important features I look for in a phone is good interface, long battery life, good camera and a nice touch screen. I got all this and much for just Rs. 11K! Clear sound quality, long battery life (almost 18 hours+ for me), solid feel and great apps, I couldn't have asked for more. And I've been complemented for my phone by so many people. PC Link App – Use your phone from your desktop. 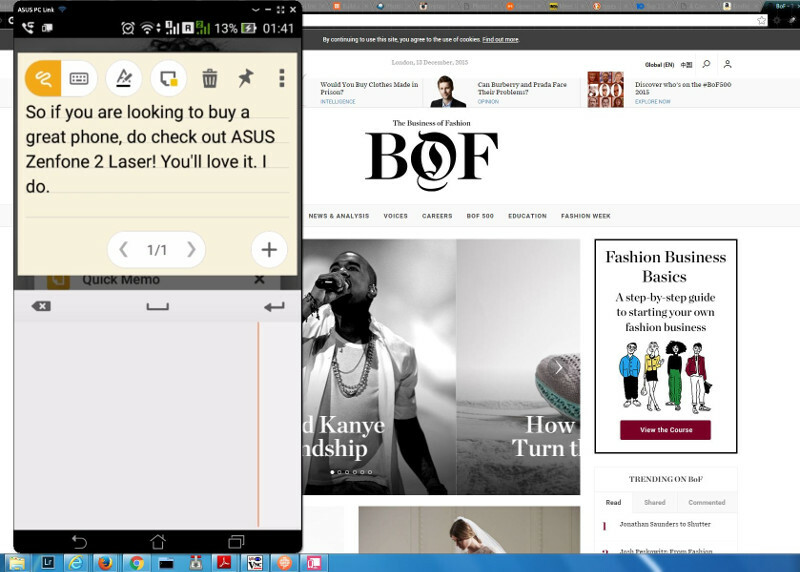 It helps me in multitask using my phone and desktop at the same time. 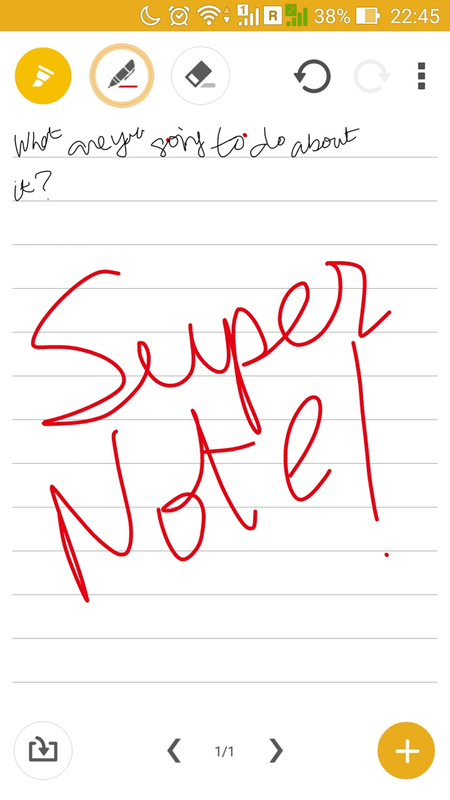 SuperNote – a note taking app that allows you to use your finger as a stylus for free hand writing/drawing. I use it all the time to take quick notes, esp., during an ongoing call. Mini-Movie – just select a few pictures from the gallery and click on the movie button and in 2-3 clicks you can create a nice slideshow video with custom sound and text! I just use one of the excellent templates and I am done! Great app! Music Player – I actually prefer the ASUS player than Google music apps., its simply better designed and less intrusive. 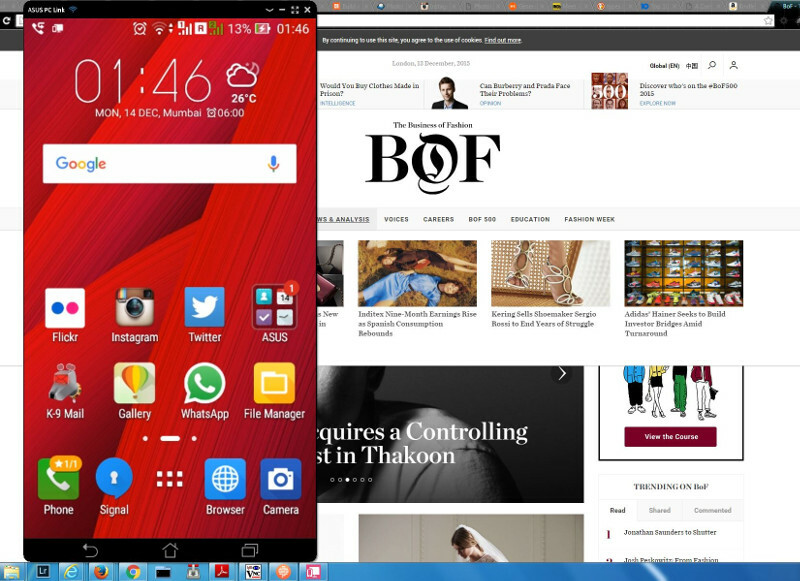 Asus Zenfone Max: What Makes This Smartphone So Stunning?